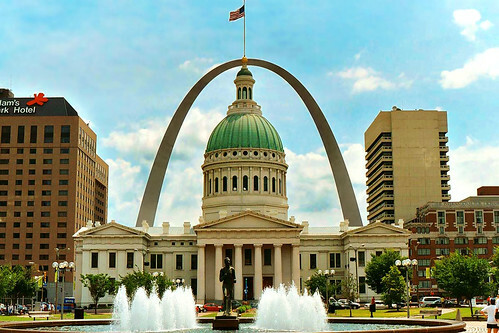 The Gateway Arch aka "Gateway to the West" is a huge stainless steel hollow arch in St. Louis, Missouri and is the focal point of the Jefferson National Expansion Memorial built as a monument to the westward expansion of the United States. 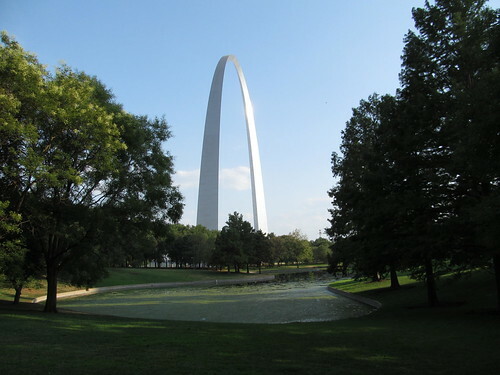 The arch is 192 metre (630 feet) wide and 192 m tall and is the tallest memorial in the United States and the tallest stainless steel monument in the world. 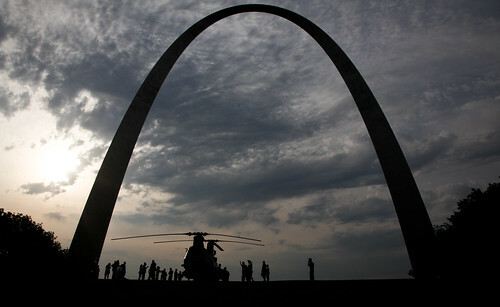 The base (legs) of the arch are equilateral triangles with 16 metre (54 feet) side at the base which tapers to 5.2 metres (17 feet). 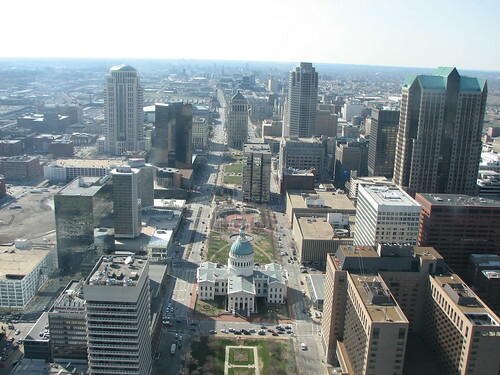 A special feature of the arch is the tram cars which travel inside the hollow section of the arch and take visitors to the observation deck at the top, from where, on a clear day, they can see the landscape up to 48 km (30 miles). 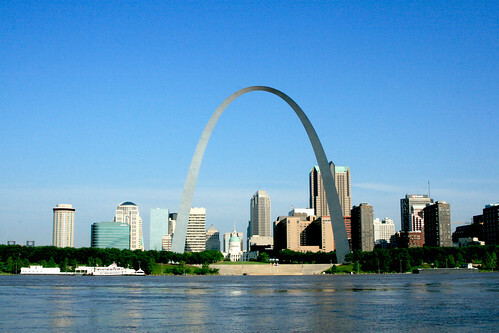 Designed by Finnish-American architect Eero Saarinen and German-American structural engineer Hannskarl Bandel the arch was opened to public in 1967 and has since become an iconic symbol of the city. The arch with the old court house in front.